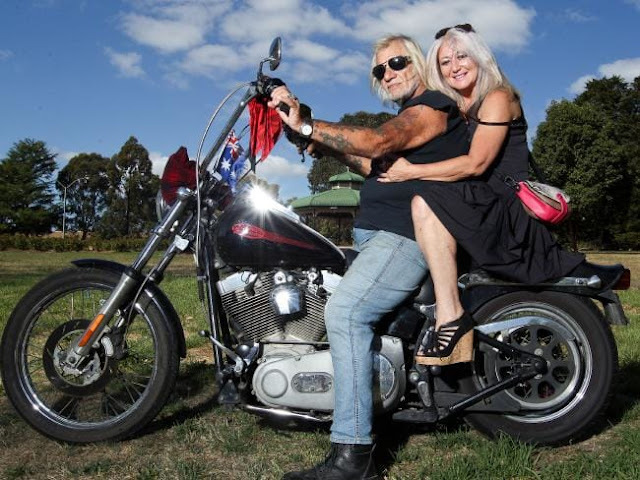 Kew, Melbourne, Australia (March 27, 2018) BTN — Chris “Ball Bearing’’Coelho, a founding member of the Hells Angels in Australia — has died. 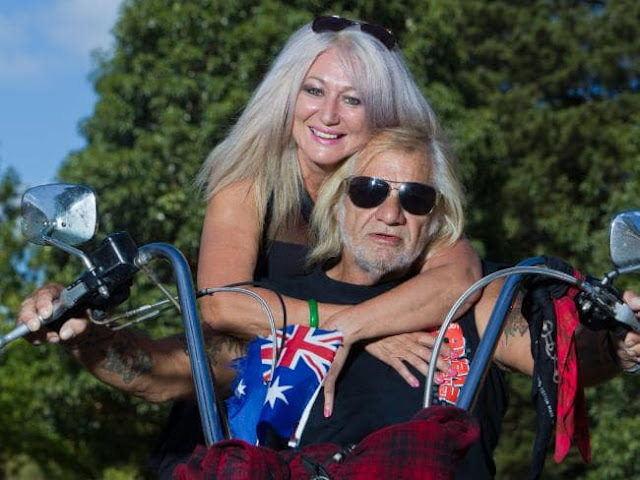 Chris Coelho, who was an integral part of the Hells Angels legendary rock n’ roll festivals in Broadford, was killed in a car accident near Kew on Friday. Chris “Ball Bearing’’ Coelho with his wife Dee in 2013. In the early years as an outlaw bikie, Coelho wore a chrome helmet and was nicknamed “Ball Bearing’’. It stuck. The avid Harley Davidson rider and guitar player had travelled the world and met the famous and infamous. Among them was riding across America with the Hells Angels’ most notable member “Sonny’’ Barger. 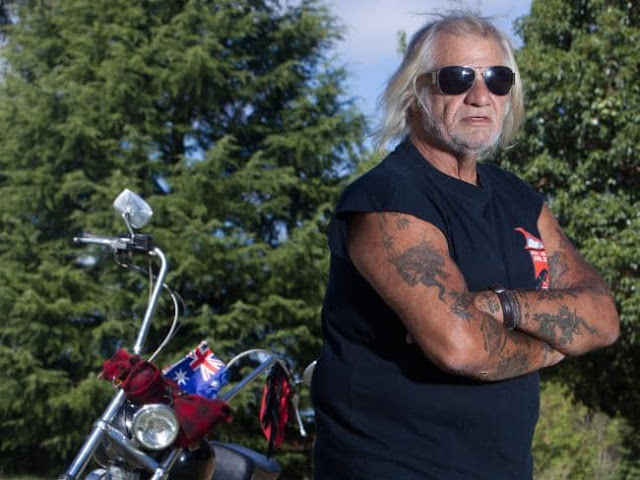 Aged 68 Coelho retired from the Hells Angels in 2012 after 42 years membership of the world’s most infamous outlaw motorcycle club. He had been an office bearer, including a chapter president. He handed in his “colours’’ soon after his public arrest following a raid by police on the Angels’ Melbourne clubhouse in Fairfield. 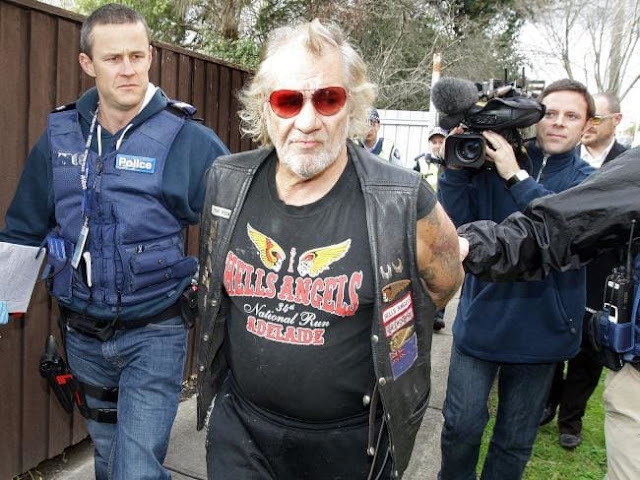 In a show of force, police had ripped off the front gates to the Heidelberg Rd chapter which was adorned with the Hells Angels “Death Head’’ insignia. Coelho has been part of the fabric of Australian music in stories told by bands such as Midnight Oil, who had played at the Broadford festival organised by the bikie club in the 1980s. Oils drummer Rob Hirst would tell of an arrow, shot into an office in Manly, and an attached note demanding they play the gig. In 2013, Coelho told the Herald Sun his time as a Hells Angel had to end but remained friends with many of them. Part of his reasoning to “retire’’ was his impending marriage to Dee, 20 years his junior. He was also adamant he wanted no part in any emerging conflict with the Bandidos at the time. His timing was impeccable. Within weeks the Bandidos’ Toby Mitchell had been ambushed and shot by Hells Angels. After their wedding in 2013, they rode through the middle of Australia. Coelho draped his Harley’s handlebars with Australian flags. 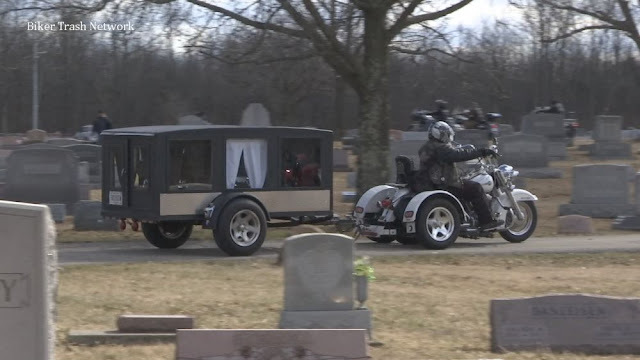 Dee rode a smaller Harley alongside him.